DeCrow raised eyebrows in 1981 when she served as defense counsel to Frank Serpico, the former New York detective and whistleblower, in a paternity suit. Serpico claimed the plaintiff had used him as a “sperm bank” and lied about being on the Pill while knowingly trying to conceive, and asserted that he had a constitutional right not to become a parent against his will. DeCrow also championed men’s rights as fathers, arguing for a “rebuttable presumption” of shared custody after divorce. She worked with the Fathers’ Rights Association of New York State and joined the board of the Children’s Rights Council, a pro-joint custody group. More recently, she was on the board of Leading Women for Shared Parenting. So, when his son took over the reins of the liberal party of Canada, I believed it was a good thing...till now. First, he seems to say if your a pro-life supporter we don't have a place in his party, that itself alienates a lot of people. The liberal party of Canada does best when it puts itself in the center, to try to adopt the NDP's policy is a bad idea, if I want to support NDP policy I will vote for them, not someone who doesn't have it's own. That is centrist politics Canadian style....which keeps one in power. Been a PRO-FAMILY site, it is important to defend men and women, mom and dad, kids and grandparents equal rights. 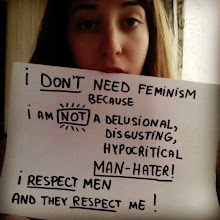 Feminists and manginas have long yapped about patriarchy this, patriarchy that,(which does not exist the way they say, since patriarchy and matriarchy is associated with the Elders wisdom in our families), well now they want to change it to a feminist one? Where men, fathers have no right to discuss the issues surrounding their kids? So with that b*llshit, we stay in the same direction they complained about, one side over the other, divide and conquer, does that make sense? The liberal party should realise Justin is now limiting his power base, going to far left means sharing the the vote with the NDP. They will never achieve power dividing it between them, there is enough Canadians who believe in the pro life, pro choice and combine that with those who also believe in the right to free speech, and the conservatives could be in power for a very long time if they stay in the center. One cannot have an abortion if a man was not involve can they, so how, as Justin claims, can it be only a woman's rights??? ?